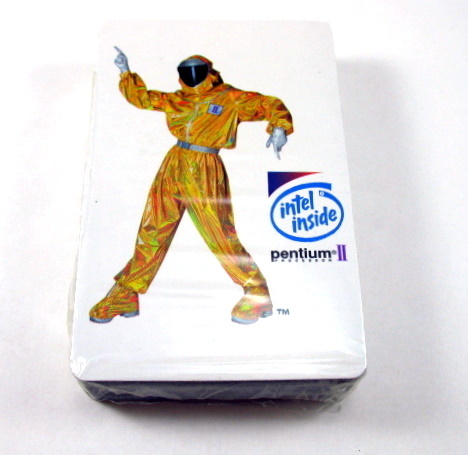 Sealed deck of playing cards features an Intel BunnyPerson character and Intel Inside Pentium II logo on the back of each card. 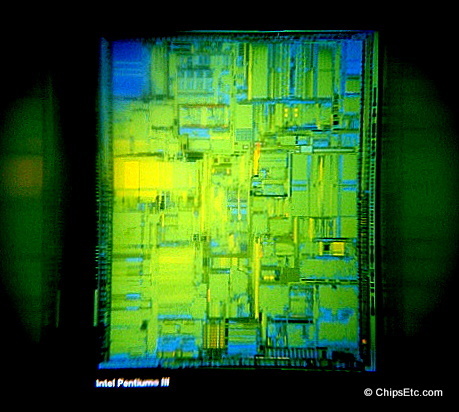 When you hold these Intel die-plot viewers up to a light and look into them you will see full color images of some of Intel's most famous Processor chips. 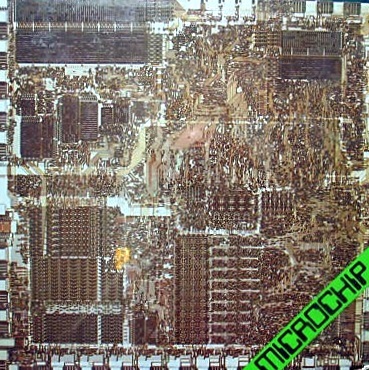 The four microprocessor chips shown are the Intel 386, 486DX, Pentium & Pentium III. 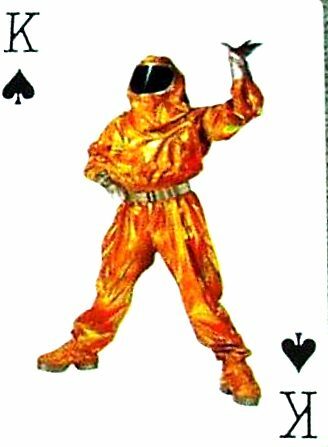 New in sealed package that has a set of four different viewers. This blue spinning wheel toy has colorful LED's in the wheel that light up when batteries are installed. 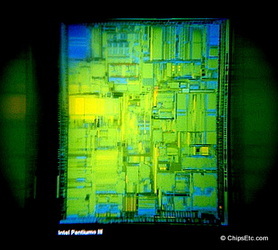 It features the Intel Dropped-E logo printed in white. Clear soft bouncing ball with an actual Intel Pentium III Chip embedded inside and Intel logo on back. Item is new and sealed in original packaging. 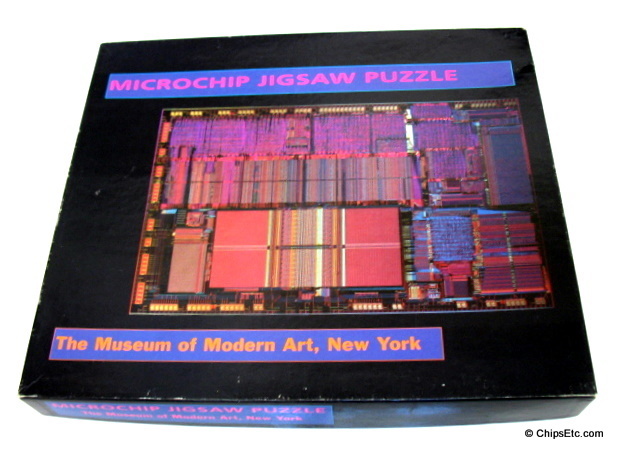 This is a 513 piece jigsaw puzzle promoting the Intel 80286 16-bit processor, introduced on February 1st 1982. 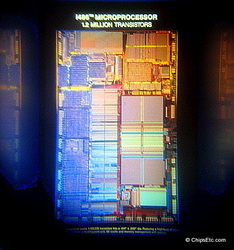 The Intel 80286 processor was used in most IBM PC/AT & compatible computers from 1984 until the early 1990's. 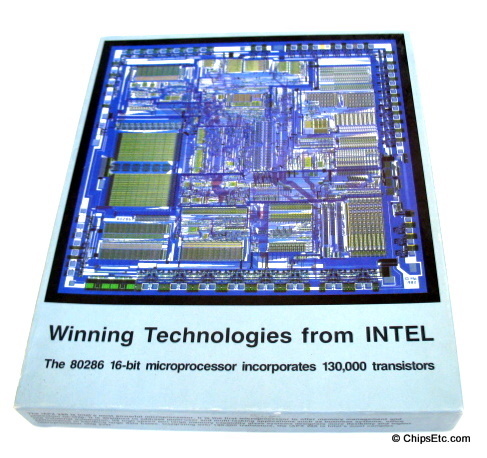 Cover of box states "Winning Technologies from INTEL - The 80286 16-bit microprocessor incorporates 130,000 transistors". 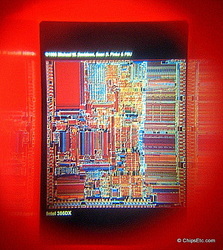 Side of box has "INTEL iAPX 286". Box Measures 1-1/2 x 11-1/2 x 14 in. 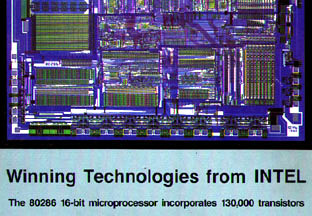 The Intel 8089 Input/output co-processor was available for use with the 8086/8088 microprocessors. It used the same programming technique as the 8087 for input/output operations, such as transfer of data from memory to a peripheral device, and so reducing the load on the CPU. 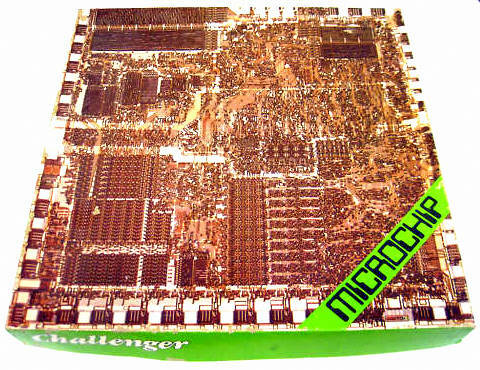 This is an Intel 8089 microchip jigsaw puzzle made by Challenger, 500 piece puzzle showing a close-up of the 8089's circuitry is 18" x 18" when assembled. 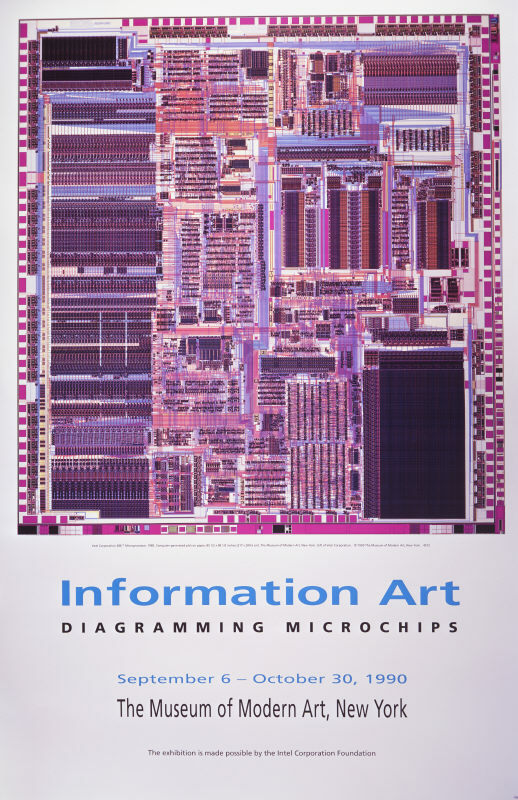 Sold at the Museum of Modern Art (New York, N.Y.) gift shop during their Art exhibit "Information Art: Diagramming Microchips" that ran from September 6 to October 30, 1990. 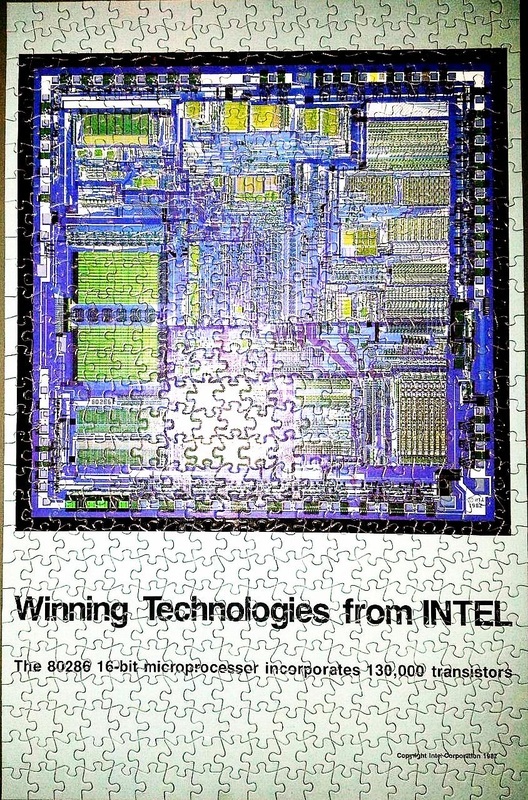 Puzzle is 18 x 24" when assembled, 540 pieces. 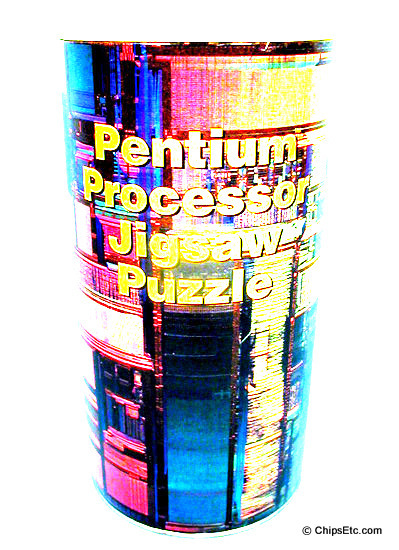 Full color Intel Pentium Processor circuitry puzzle comes in cardboard tube package. 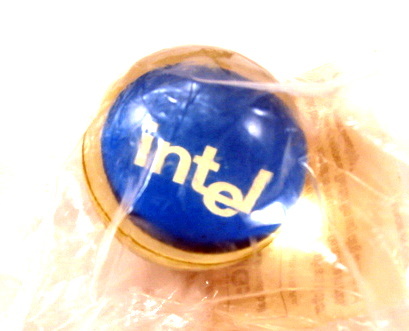 Promotional Baseball with Printed Intel dropped-e logo. 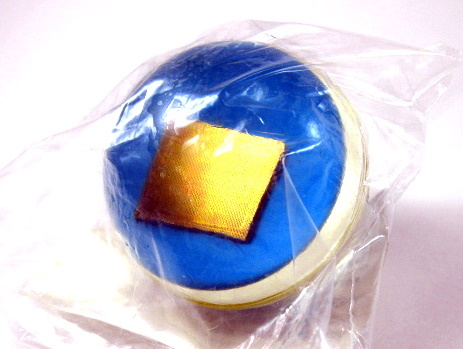 Printed Intel dropped-e logo on a golf ball. 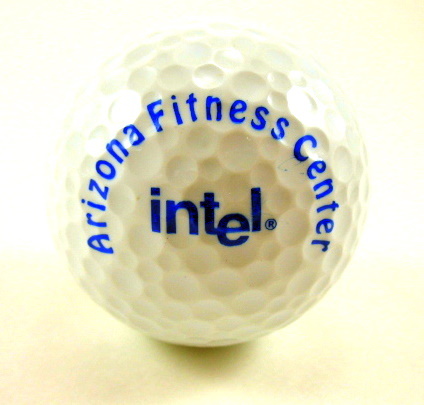 Promotional item given out to celebrate the opening of a new Fitness Center at the Intel facility in Chandler AZ. 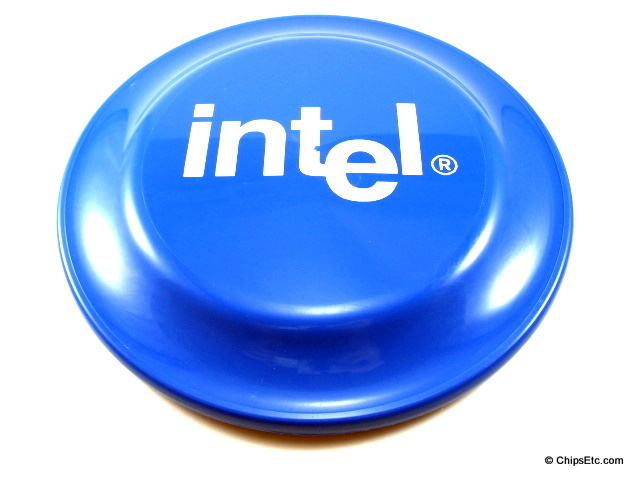 Printed Intel logo on blue flying disc. 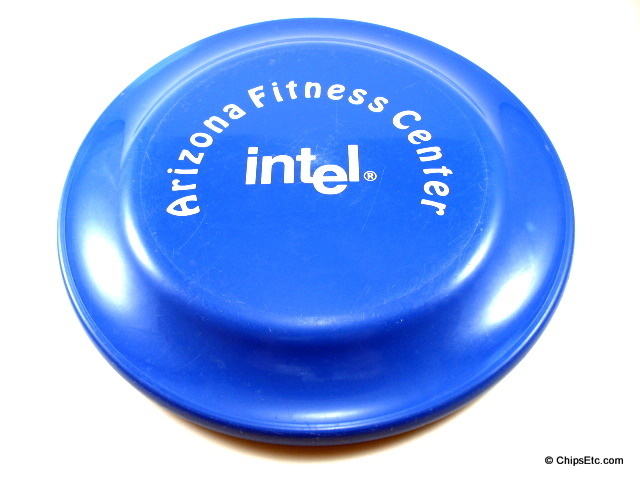 Promotional item given out to celebrate the opening of a new Fitness Center at Intel facility in Chandler Az. 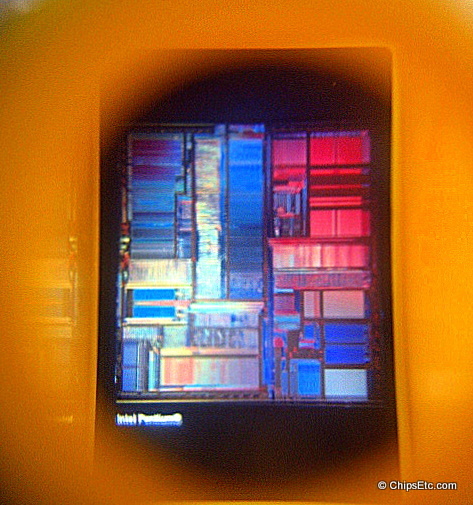 Printed Intel dropped-e logo on blue flying disc. 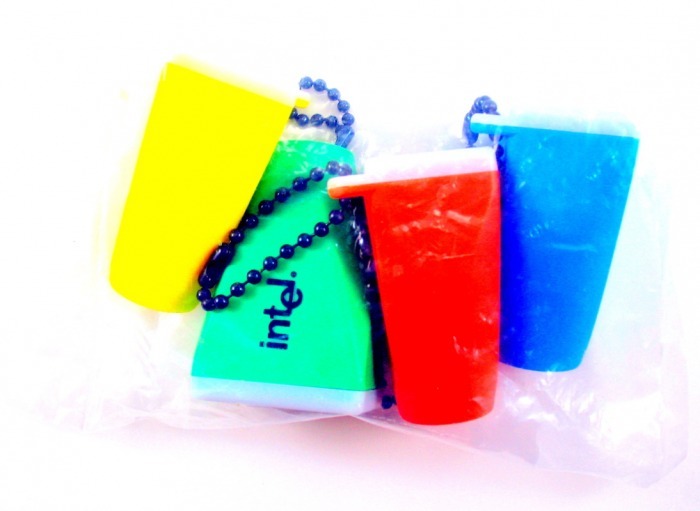 Blue soft foam stress squeeze keychain with Printed Intel Logo. 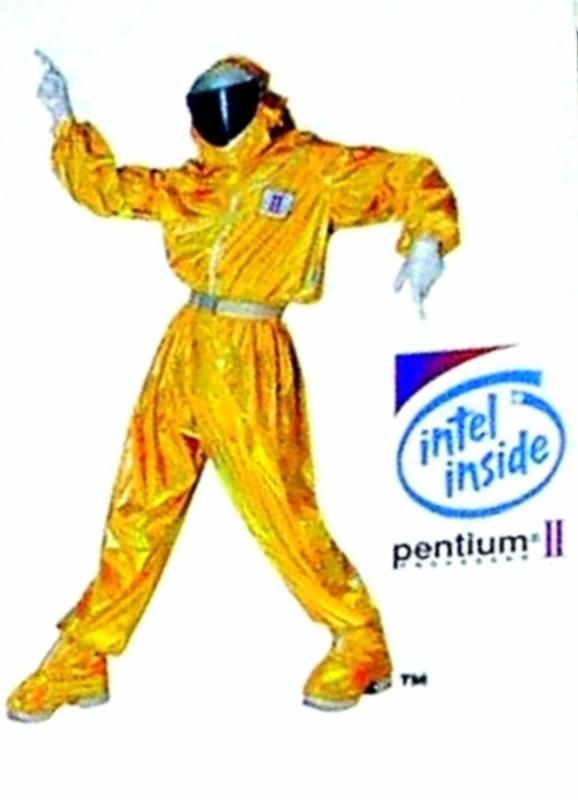 Promotional item given out to Intel employees during an annual health benefits roadshow.